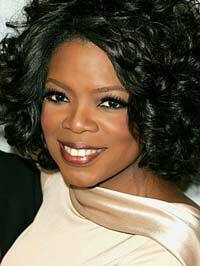 Oprah Winfrey was born in Kosciusko, Mississippi on January 29th, 1954. She was named after a biblical character, but people kept mispronouncing the name, so she stuck with the name “Oprah” for good. Her mother’s name is Vernita Lee, and she was a housemaid. Oprah went through life believing that her father was Vernon Winfrey, who was a city councilman in the Armed Forces. Her childhood was spent in poverty, with her mother struggling greatly to make enough money to put food on the table. Her grandmother even made her dresses out of potato sacks, which resulted in her being teased by the school children. When she was six years old, Oprah moved to Milwaukee, Wisconsin with her mother. After this, her mother had another daughter named Patricia. Because Vernita could not handle raising two children, she sent them to live in Nashville, Tennessee with Vernon Winfrey. Her mother had another daughter after the girls moved, but she gave her up for adoption because she could not afford to raise her. During the time Oprah was a child she experienced sexual molestation by her cousin, a family friend and her uncle. This molestation resulted in her running away from home when she was only 13 years old. The difficult times continued after this, as she had a baby that died soon after birth. After this, Oprah decided to join the Upward Bound program at Lincoln High School. From here she transferred to Nicolet High School, but she soon started stealing money to try and appear as rich as her classmates. Oprah’s mother sent her back to Vernon after she started to steal, and made it clear that she would not be able to return. Fortunately Vernon was a strict influence and encouraged Oprah to get good grades and join teams in her school. Oprah received a full scholarship to Tennessee State University after getting good grades at East Nashville High School, which she attended while working at a grocery store in the area. After winning a beauty pageant she got hired to do the news at WVOL, which was a black radio station. The job at the radio station led to getting a news anchor position at WLAC-TV in Nashville. After this she moved to WJZ-TV in Baltimore, which was followed by “People are Talking,” which was a talk show on the same network. In 1983 Oprah was hired to host “AM Chicago,” which was dwindling due to low ratings. Months after she took over the ratings were soaring and Oprah was gaining a lot more popularity. Roger Ebert, a movie critic, met her at this time and convinced her to create her own show. Soon after this, “The Oprah Winfrey Show” was born and she aired her first episode on September 8th, 1986. The show was well-received and Oprah was even invited to co-star in “The Women of Brewster Place” in 1989. Oprah is now the president of Harpo Productions, is a co-founder of the Oxygen network and owns her own television channel, OWN. The last episode of “The Oprah Winfrey Show” aired on May 25th, 2011.